With winter officially over, we can finally say goodbye to grey days and hello to spring sunshine. Why not celebrate the change in seasons by taking a trip to one of these incredible hotspots to catch the first blooms of the year? We’ve scoured the map to find the best places to view spring flowers throughout the United States. You can thank us later! Pack a bag and join us as we take a little hike around these jaw-dropping locations. You won’t believe how stunning these places are! 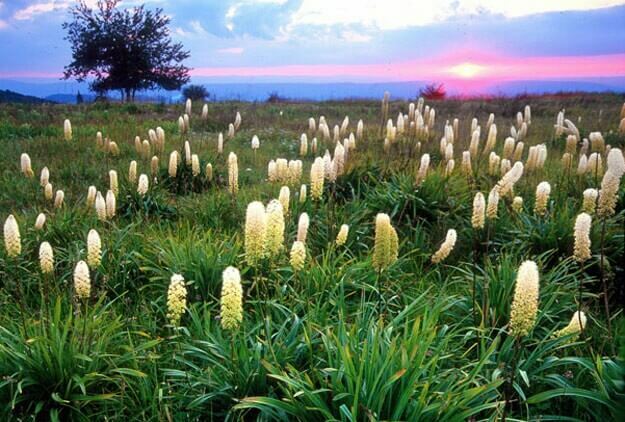 Great Smoky Mountains National Park is a flower lover’s paradise, boasting over 1,500 varieties. Its botanical reputation is so well known that it’s often referred to as “Wildflower National Park.” As well as awe-inspiring waterfalls, you’ll be graced with lady slipper orchids, crested dwarf irises, bleeding hearts and beautiful violets in the spring. Once summertime rolls around, black-eyed Susans, bee-balms and Turk’s cap lilies will be out in force — they’ll even bring some friends along to the party. 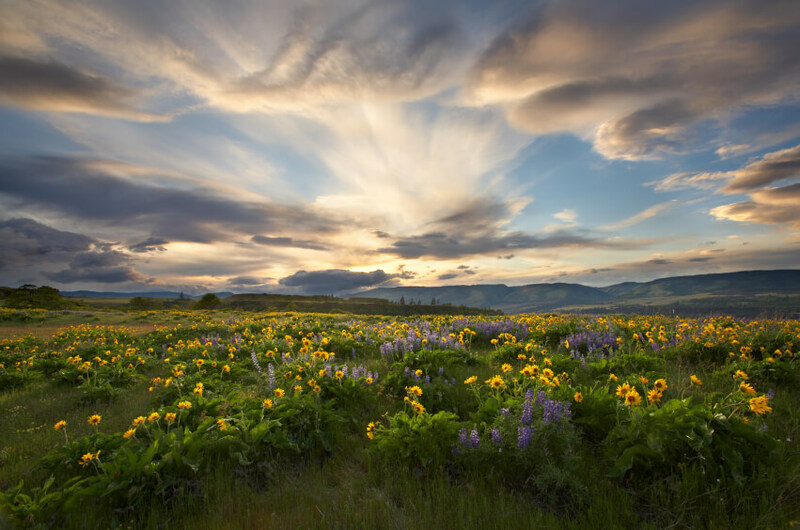 You can tackle the trails alone or hop on to the popular five-day Spring Wildflower Pilgrimage to get a guided tour. Halfway between the hustle and bustle of Houston and Austin lies a hidden gem, the town of Tiny Brenham. 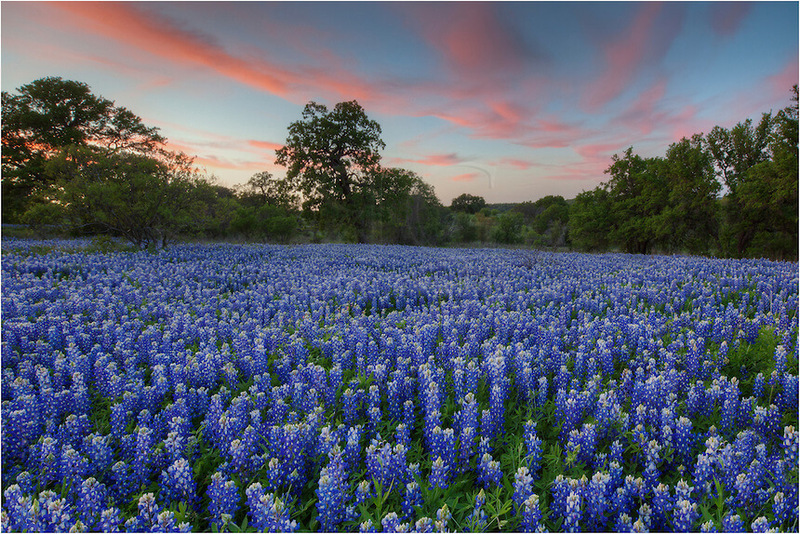 Brenham is famous for its glorious spread of bluebonnets, the Lone Star State flower no less. That’s not all you can expect to see if you take a visit to this quaint little place. Evening primroses scent the air with Indian paintbrushes adding plentiful splashes of scarlet color. It’s a tourist hotspot, but if you’re planning a visit then make sure you’re very aware of what’s public and what’s not. A large portion of the sprawling meadows are private property and trespassing could land you in hot water. Shenandoah. Even the name sounds magical, doesn’t it? Set in the stunning Blue Ridge Mountains, this park is a world away from the working farms and property developments that surround it. The pastel-colored liverwort makes it look like something straight out of an oil painting and, of course, a great place to snap some family pictures. Late March brings plentiful purple trillium, a mixture of violets and pink lady slippers. If you don’t like hiking, then this may be the place for you. A cruise down Skyline Drive gives you incredible views that you’ll remember forever. If you like your weather warm and your poppies in abundance, then look no further. 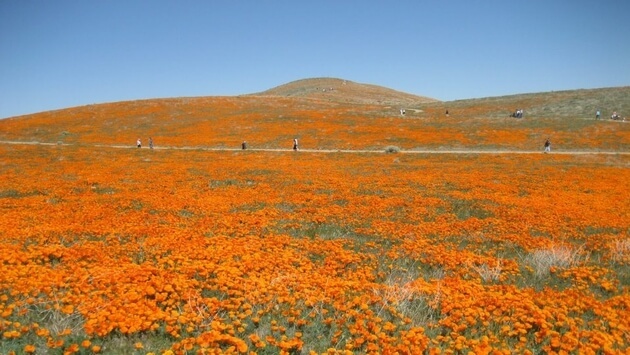 Antelope Valley Poppy Reserve spans across 1,780 acres in the Mojave Desert. Primetime viewing for the rolling spreads of California poppy is in April, so start planning your trip now. 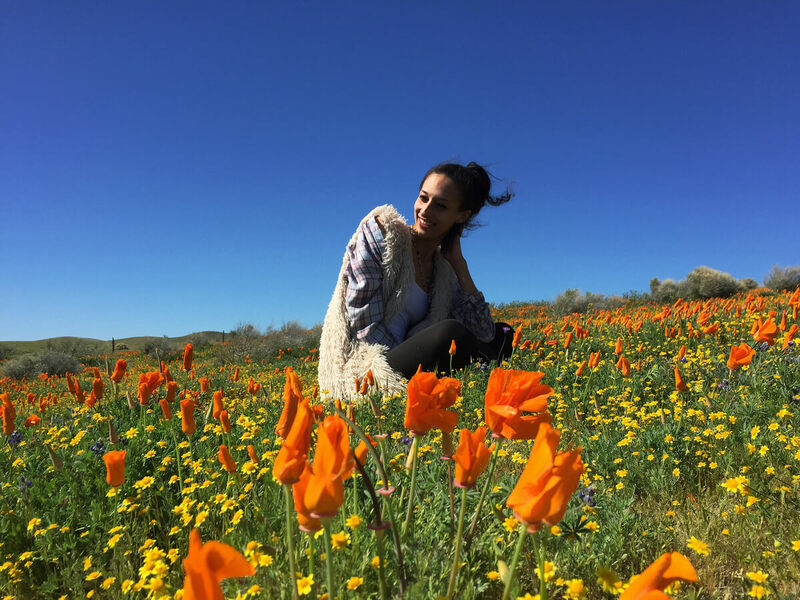 There are eight miles of walking trails that twist their way directly through the orange vastness, giving you an excellent chance to stop and smell the poppies. The town of nearby Lancaster celebrates the site every spring with the California Poppy Festival, with live music acts, performances and even camel rides. In short, it’s a party in one of the most scenic locations on earth. What are you waiting for? 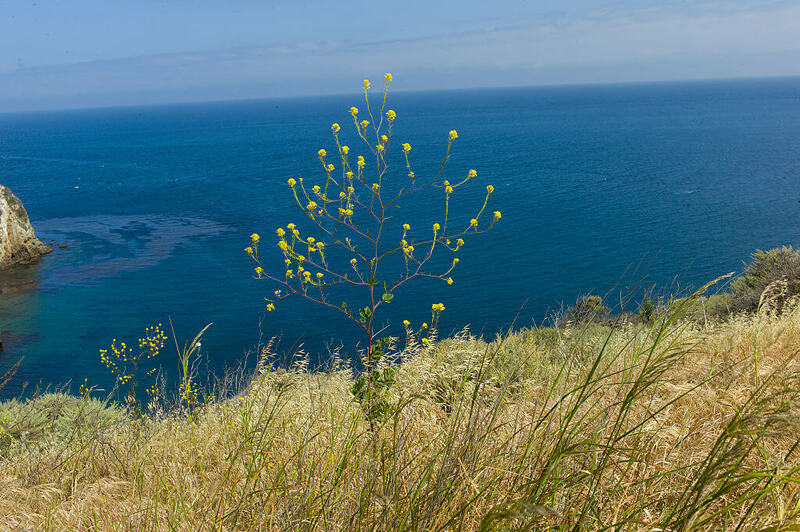 Known as the “Galapagos of America,” Channel Islands National Park should be on your list of places to go before you die. The park is home to around 800 different types of plant and each island has its own special layout of flora. Gorgeous yellow coreopsis flowers emerge between January and March and if it’s these you’re after, you’re better off visiting Santa Barbara. If the sprawling coastal views and blooms aren’t enough to have you packing the car, then you’ll be pleased to know that you can encounter vast colonies of adorable elephant seals on the shores between Santa Rosa and San Miguel. 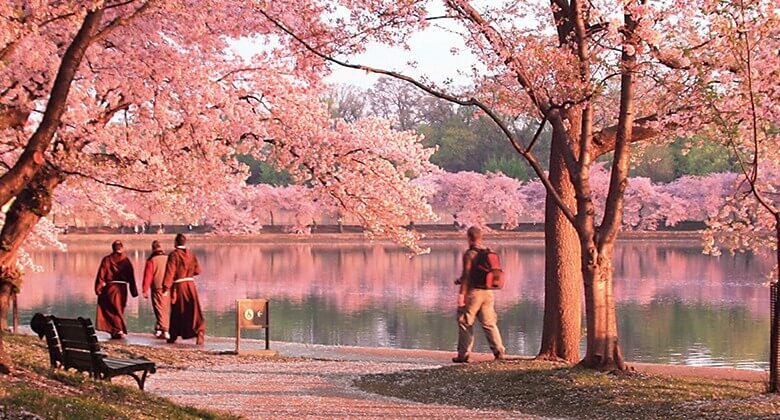 The beautiful pink blossoms of cherry trees have brightened up Washington D.C since they were given to the capital by the city of Tokyo in 1912. While people visit D.C for a variety of reasons, the stunning pastel pink cherry blossoms attract around half a million visitors each spring, especially around hotspots like the Tidal Basin. There’s also a festival that runs through mid-April, culminating with a grand parade. This is a super popular event, so if you want to view the trees in their full glory without tons of people elbowing you in the ribs, go before the festival starts. 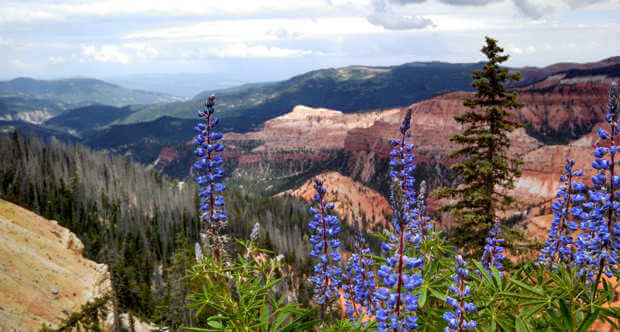 Cedar Breaks National Monument sits surrounded by towering cliff faces, in a 10,000-foot elevation. Because of its location, spring comes late and unfortunately the wildflower season is short — but don’t despair. In June, the canyon bursts into color with lupine, pink spring beauty, pale-purple phlox and aspen bluebells, to name a few. In July you can book yourself on one of the guided hikes or sign up for a photography class to make sure that you take home some truly frame-worthy snaps. You may want to pack a coat though since snow in July isn’t unheard of here. Brace yourself for some serious Little House On The Prairie feels. The lush Fort Pierre National Grassland covers 116,00 acres of mixed-grass land in South Dakota. In the summer it springs to life with all sorts of native wildflowers nestling amongst the swaying grasses. Blue daisy fleabane, purple prairie clover, purple coneflower, bluebells, silver bladderpod, blue flax, Bellflower and red columbine all call this place home. Set us up on a porch with a rocking chair looking out at this for the rest of our days and we’d die happy. It’s on our bucket list. Flowers and Disney. What’s not to love? You may think that a trip to Disney World is more of a vacation for the kids, but don’t be fooled. 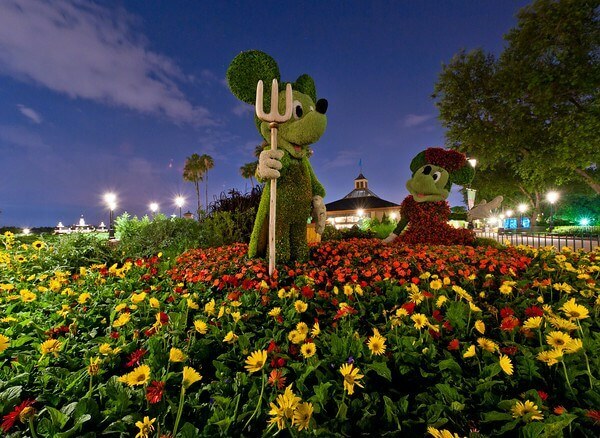 From February 28th to May 28th the attraction park is full of blooming gardens and topiaries featuring gorgeous plants in the shape of Disney characters. If that doesn’t float your boat it’s also a food lovers dream, with outdoor kitchens cooking up more delicious treats than you can imagine. It really doesn’t get much better than this, so trust us on this one and get your skates on. There’s still plenty of time to visit! 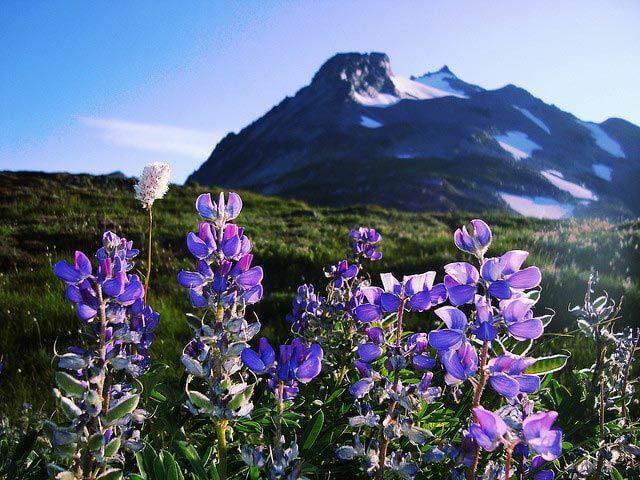 North Cascades National Park is one of the biggest places of its kind, covering over half a million acres of land. Because of its grandeur, the park experiences a lot of different weather that influences the growth of the blooms, making the window for flower viewing pretty wide. 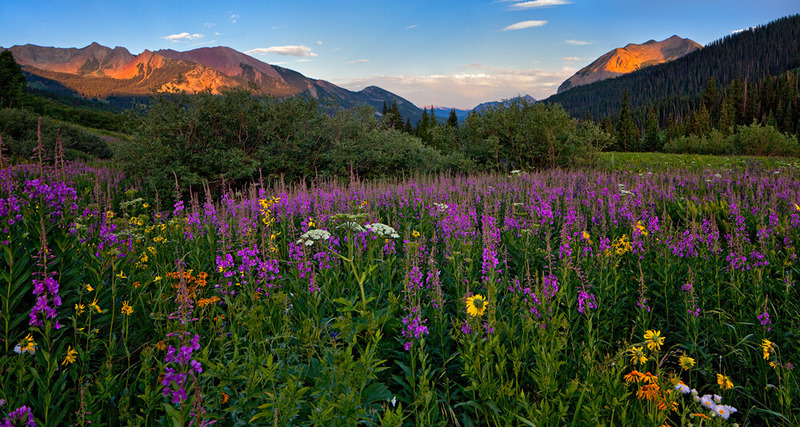 At lower parts of the park, you can expect to see gorgeous blooms as early as March, while the higher regions experience peak florals in August and September. You’ll be greeted by tiger lilies, evergreen violet, fairy slipper and pipers bellflower. It’s the place to be if you want to cut off from the world and really be at one with nature. 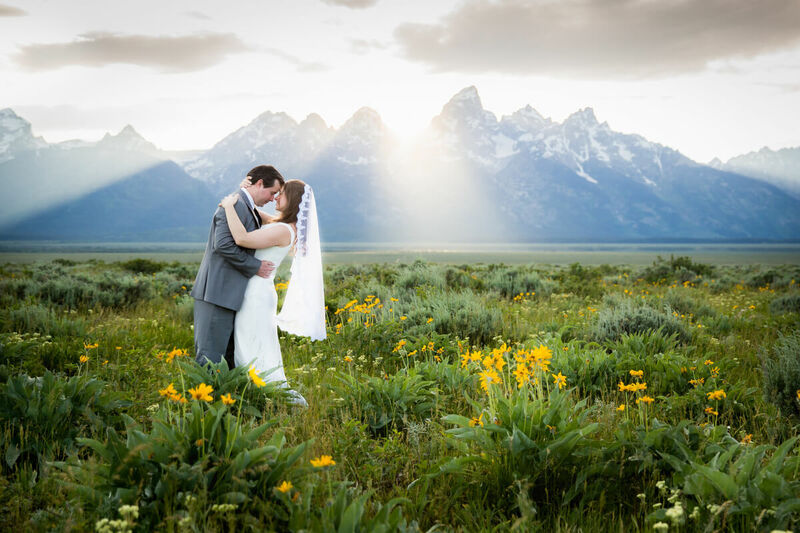 Have you always envisioned your wedding in an idyllic setting full to the brim with beautiful flowers, with a backdrop that looks like something out of Sound of Music? You may have thought it was just a fantasy, but luckily for you, it exists. Grand Teton National park has three zones — the sagebrush valley, the forest floor and the alpine zone, so take your pick. Larkspur and skyrocket gilia inhabit the valley while the rare calypso orchid grows in the forest floor. If this is where you want to get hitched, then the Chapel of Transfiguration or the Chapel of the Sacred Heart both take bookings for ceremonies. Congratulations! Shakespeare once said “A rose by any other name would smell as sweet” — luckily for us, all of the roses smell truly divine at Portland’s Rose Festival in Oregon. 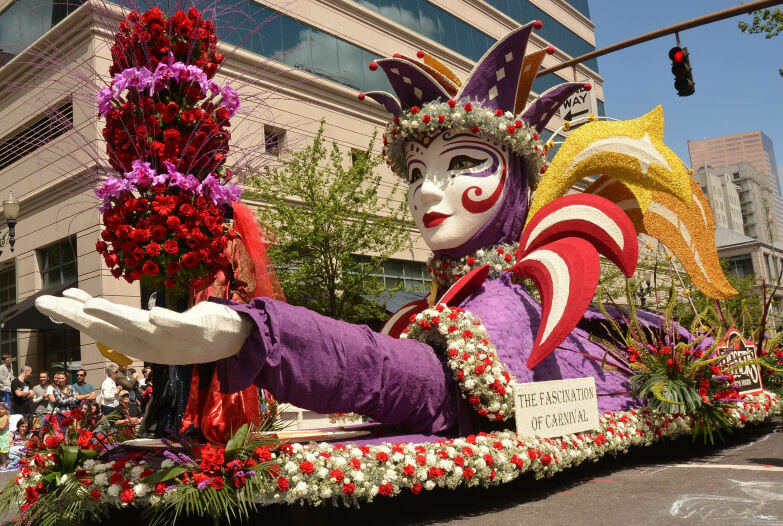 Held in May and June, the grand event includes parades complete with intricately designed floats lined with gorgeous roses, fair rides, concerts and food stalls stacked up along the waterfront to cater to a variety of tastes. One thing makes this particular event truly special though. It honors outstanding young women from the local high schools by awarding scholarships and the opportunity to be mentored by pillars of the community. Girl Power! Let’s switch it up a little. Like nature but can’t say you’re a real flower fan? Never fear, we’ve got you covered. Desert Botanical Garden in Phoenix, Arizona may be the place for you. Filled with gorgeous cacti and other juicy colorful succulents, the garden is one of the top places for the study of desert plants. If that’s not intriguing enough, they also host a variety of events. You can even watch the Arizona Ballet perform a piece in the stunning natural surroundings, with the plants lit up in all sorts of stunning hues. There’s really no place quite like it. In Grafton County, New Hampshire lies the small town of Sugar Hill. Its ideal situation sits right on the doorstep of the White Mountain National Forest, with views of the Presidential, Franconia, Kinsman and Dalton ranges. 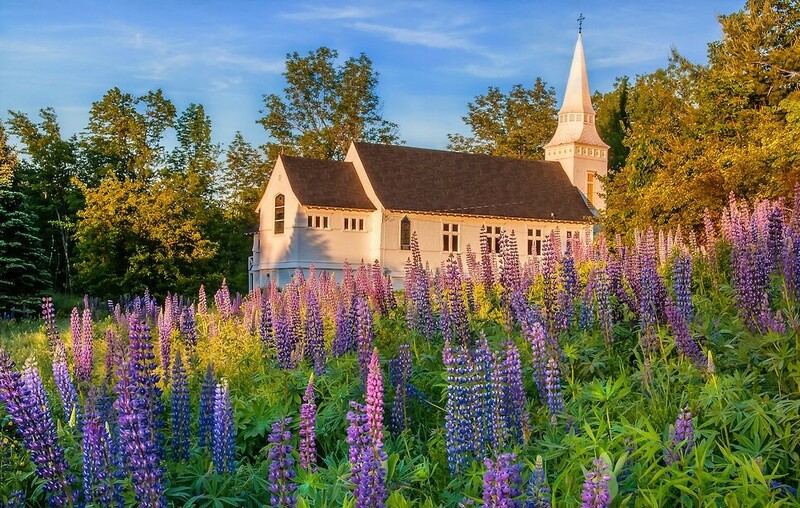 The lupine covers the countryside in Sugar Hill with its rich violet hue, nestling in amongst daisies and tall green spires of grass. The town holds an annual flower festival each June, offering up local artisan stalls, concerts, and a photography contest. We imagine it’s the sort of place that Lorelai and Rory Gilmore would visit just for kicks and coffee. 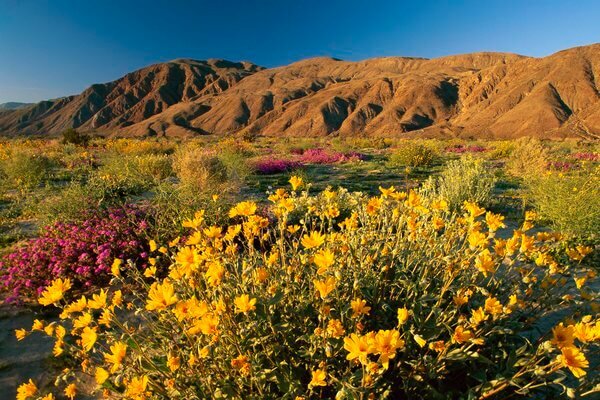 If you love to lend a helping hand while also having a good time, then a trip to Anza-Borrego State Park in California won’t be wasted. Located east of San Diego, it’s the largest park in the state. While it’s primarily a desert, you can catch some incredible flowers if you time it right. It lasts just a few short weeks and as the blooms are dependent on the weather, it’s hard to pin down an exact date to visit. If you’re lucky enough, you’ll catch the stunning desert sunflower, the yellow desert dandelion, and desert lavender. 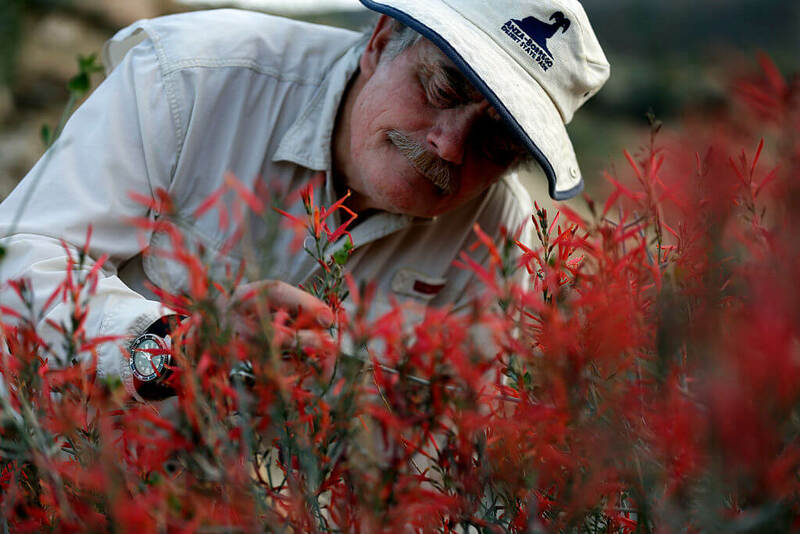 Unfortunately, the invasive Sahara mustard plant is killing a lot of the native wildflowers, so visitors are encouraged to pick the weed if they stumble across it. Bring your gardening gloves and go help a plant out. Skagit Valley in Washington is home to some of the brightest tulips you’ll ever see. Rows upon rows of the flower burst into life in April, celebrated by the annual Skagit Valley Tulip Festival. Skagit Valley has so much to look at, including shorelines, bays and one of the largest agricultural communities near the Cascade mountain range. Rather than a place that you go and visit directly, the festival is billed as a driving tour. 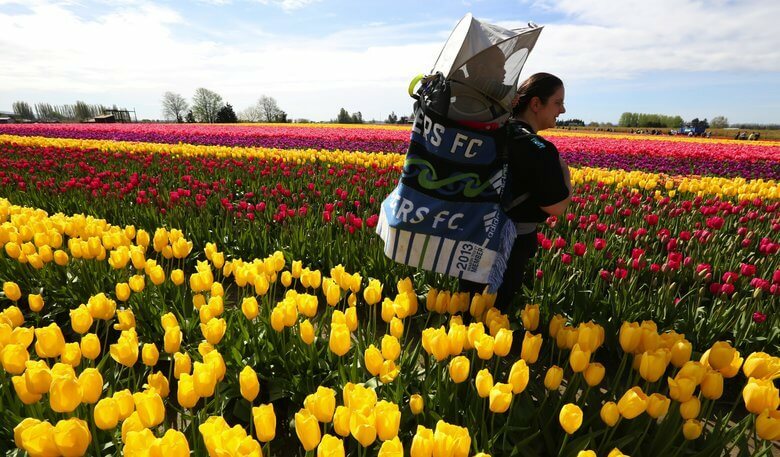 The fields themselves are owned by Rosengarten and Washington Bulb Co. You can hop out at several locations to take pictures of the symbolic paradise flower. What better place to look at spring flowers than Hawaii? Kauai’s Lawa’i Valley is one of the wettest places on the planet, so the conditions are optimal for tropical flowers year round. However, if you visit in spring and summer you’ll get the full show. Follow the McBryde Garden Biodiversity Trail for an out of this world experience, starting off in an 80-foot tunnel of swirling mist that educates you on a few million years of plant history in a compact ten minutes. Keep your peepers peeled for all manner of dreamy flowers, including flaming red coral trees and pua kala blossoms. 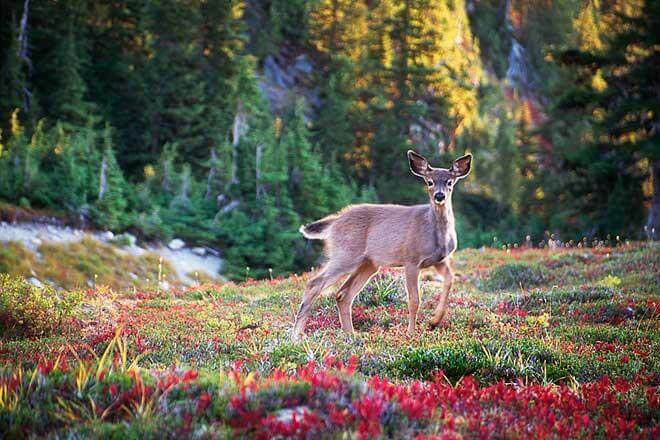 Olympic National Park isn’t just famed for its stunning scenery, but for its incredible wildlife. The park is so vast that it has several different climates, from lowland and temperate rainforest to montane, subalpine and alpine. This variety makes it the perfect place for a diverse range of flowers. Massive conifers over 20 stories tall tower over tiny clumps of pink douglasia. Amongst all this is the beautiful Valley of Heaven, where more often than not you can spot a young deer grazing alongside its mother. Honestly, it couldn’t be more aptly named if it tried. Coachella Valley may be better known for its music festival that runs in April, bringing the big names to the desert for a two-weekend extravaganza, but it’s an awesome place for some flower spotting too. Any self-respecting festival goer has worn a flower crown at some point in their lives, but these guys are too stunning to pick. Purple desert verbena lives here in its native habitat and can be found on one of the many hiking trails that lead you through this incredible oasis. If you’re about nature and not the party, avoid the festival period entirely.